Construction or renovation and dust go hand in hand. But that does not mean that you or the people on your worksite have to breathe in dust the whole time. 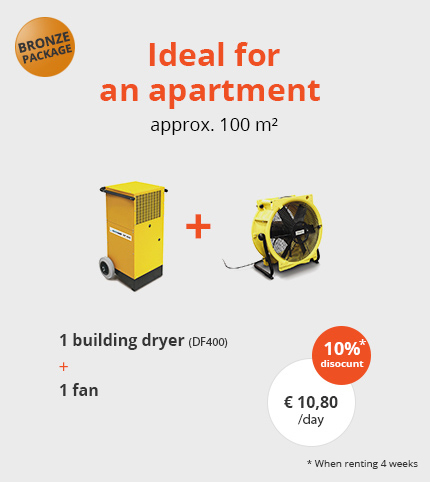 At Buildingdryers.be you can rent various dust extraction solutions, with or without a nebulizer. Why is dust extraction necessary? Read all about it below. Dust extraction at the workplace: why? Did you know that workers in the construction sector run a higher risk of silicosis and other harmful lung diseases caused by dust at the worksite? It is therefore important to ensure good dust extraction at your workplace – so that the dust is filtered out of the air, leaving your work environment viable longer. Furthermore, you can filter other harmful substances from the air with a dust extractor, such as mould spores and asbestos dust. Handy, but above all: safe and healthy. Which type of dust extraction is suitable for my work environment? 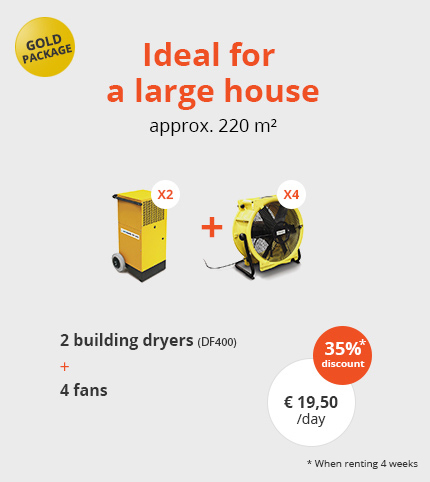 At Buildingdryers.be we know how important good dust extraction is. 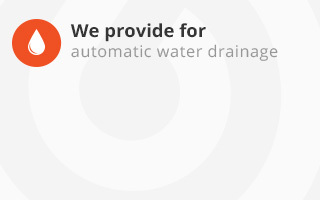 That is why we work exclusively with high quality, professional equipment. The air purifiers from the TAC series constitute the ideal solution for air extraction and purification. 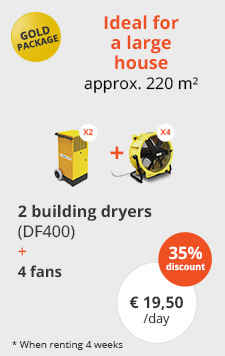 Depending on the size of the work premises, you can opt for the TAC 1500, TAC 3000, TAC 5000 or TAC 6500. And those who would like some more information or advice about dust extraction, no need to panic: we give free advice. 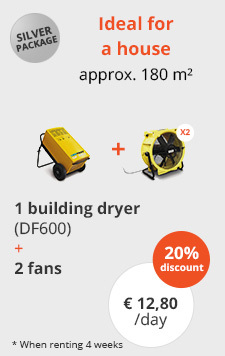 Have you planned several days of demolition works in a dry or windy period? Bear in mind that since 1 January 2017 contractors are required to take measures under such circumstances to counter dust emissions. Combining mobile dust extraction with a nebulizer is a smart way to proceed, as dust is washed out of the air, as it were. Nebulizers are simple to maintain and easy to refill. 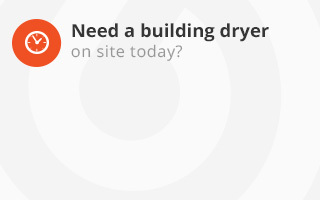 Tell them Buildingdryers.be says so! Mobile dust extraction? 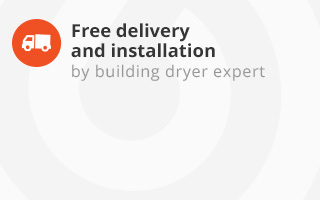 You can rent what you need from Buildingdryers.be. 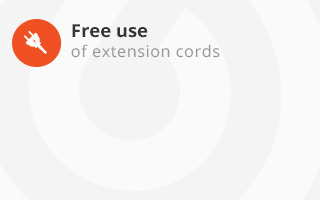 Not only will we deliver and install your dust extractor completely free of charge, but you can also use our extension cords, likewise for free. 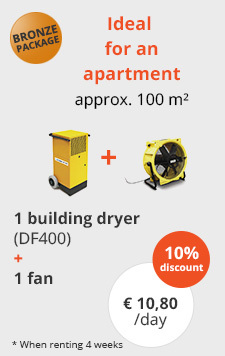 In addition to dust extractors, you can also rent construction dryers, nebulizers, fans and other equipment. 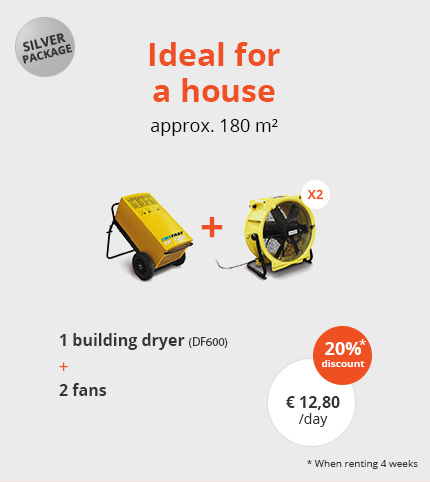 And by the way, we are still the cheapest in Belgium. Use the contact form to ask for a quotation today.